One of the most important things to do before you list your home is to declutter. Decluttering can be an overwhelming endeavor because of a commonly held misconception that the goal is to make your home immaculate. Rather, the underlying principle to decluttering is to remove items from rooms to give a more spacious feel; you decide what items get thrown out, donated, or kept in storage. So as not to get overwhelmed, plan the decluttering; rather than trying to complete the activity in one weekend, try decluttering one room (or even one part of a room) per day. After the decluttering, you’re often left with items that need to be thrown out. However, some items require precautions and/or special disposal: some items may need to be recycled; some may need special handling; while some may need to be hauled to a processing facility. The county or municipality may offer special pick up for some items that cannot be disposed of by the regular trash collection. If you’re unsure about the disposal of certain items, call your local “Department of Waste Services,” (like my local Montgomery County Division of Solid Waste Services) which can offer guidance and information for local disposal/recycle procedures, facility locations and hours. “Neutralize” your home to provide a vision to home buyers how they can live in the home. Although you’ve spent years giving your home a personal touch; items such as trophies, awards, diplomas, family and personal photos should be removed because they can distract home buyers’ attention from the home itself. Home buyers should feel at ease when viewing your home. Having too much and/or over-sized furniture can make an otherwise large room feel cramped. Eclectic furniture collections and furniture that is wrongly placed can not only make a room look awkward, but can also give people an unsettling feeling. Does your home need staging? Home staging is a way to create a “vision” for home buyers by adding a modern flair. Some home sellers stage every room, while some only stage featured rooms to be focal points of the home. Although home staging can be expensive, it doesn’t have to be. Sometimes having an extra lamp or removing a painting from a wall can make the difference between shabby and chic. If your furniture is out of date or in poor condition, consider a short term furniture rental for that featured room. 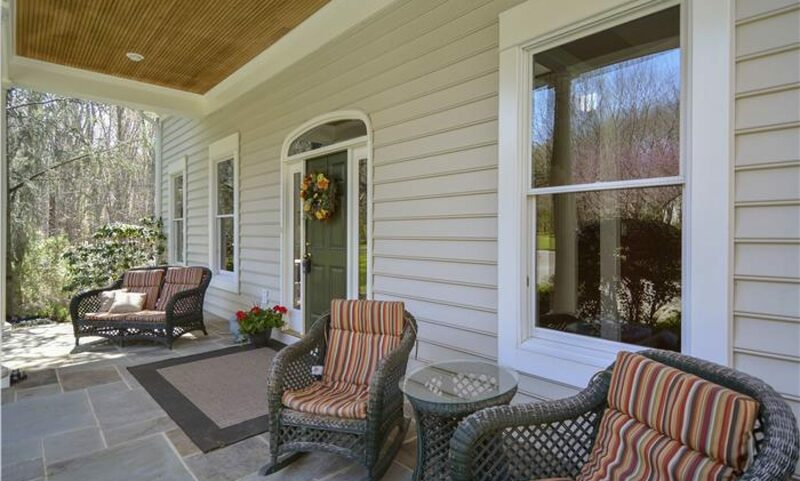 Although we’ve talked about your home’s interior – don’t neglect the exterior of your home. Home buyers’ initial opinions are created as they approach your home; no matter how nice your home looks on the inside, it may not matter if home buyers never make it inside. Simple landscaping can make a lawn appear “manicured.” Make sure that the home’s siding is clean and in good condition. Your real estate agent should be able to provide guidance to prepare your home for sale. If home staging is a goal, many agents either work with a home stager or have been certified for home staging. You can also research home staging by visiting The International Association of Home Staging Professionals website (IAHSP.com). This article is not intended to provide nor should it be relied upon for legal and financial advice. This article was originally published in the Montgomery County Sentinel the week of January 14, 2013. Using this article without permission is a violation of copyright laws. Copyright © 2013 Dan Krell.